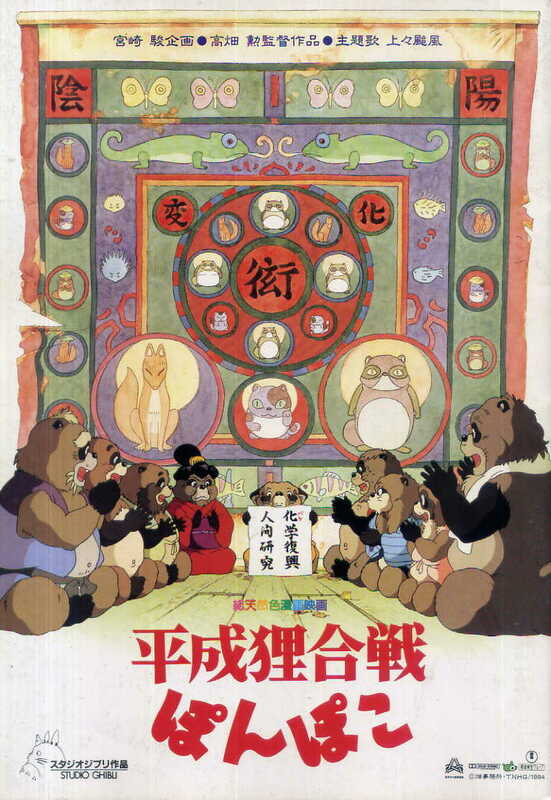 PennsylvAsia: 1994 Isao Takahata film Pom Poko (平成狸合戦ぽんぽこ) in Pittsburgh, from June 17. 1994 Isao Takahata film Pom Poko (平成狸合戦ぽんぽこ) in Pittsburgh, from June 17. In this brilliant and often overlooked Studio Ghibli masterpiece from Academy Award®-nominated filmmaker Isao Takahata, the forests are filled with groups of magical tanuki, mischievous raccoon-like animals from Japanese folklore that are capable of shape-shifting from their standard raccoon form to practically any object. The film will play at Pittsburgh-area Cinemark theaters in Monaca, Monroeville, Pittsburgh Mills, and Robinson. The June 17 and June 20 screenings will be dubbed in English, while the June 18 screenings will be subtitled.